Hope Solo, 35, was speaking after Sweden knocked her side out of Rio 2016 in the quarter-finals, winning 5-4 on penalties after a 1-1 draw. Sweden lost 2-1 to Germany in the Olympic final. US Soccer president Sunil Gulati said Hope Solo’s comments were “unacceptable”. World Cup winner Hope Solo wrote on her Facebook page that she was “saddened” by the decision. “I could not be the player I am without being the person I am, even when I haven’t made the best choices or said the right things,” the goalkeeper added. Hope Solo will not be eligible for selection until February. US Soccer has only announced two matches in that period, against Thailand and the Netherlands next month. Hope Solo could miss several games once the team’s fixture list is finalized – they played 14 games in the same six months of the 2015-2016 season. 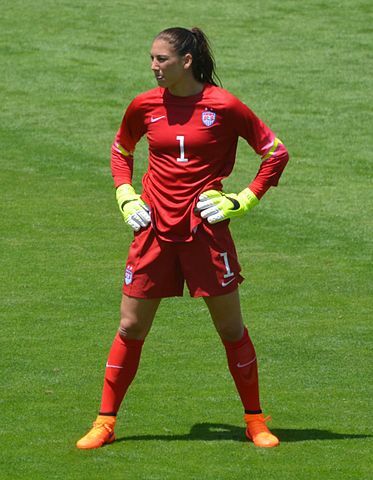 Last year, Hope Solo was suspended for 30 days following an incident during a training camp. Media reports claimed Hope Solo was in the car when husband Jerramy Stevens was arrested on suspicion of driving under the influence.